Uncovering depression in teen boys is not always easy. The teenage years can be particularly difficult for your son, as he is navigating hormonal changes as well as changes and inconsistencies with how he is perceived. As an example, some people treat teenagers like children, while some treat them more like adults; this discrepancy can cause confusion and frustration for your child. It can be a difficult time, and having some emotional ups and downs is perfectly normal. You may discover, however, that these ups and downs are more than just a bad mood or a bad week. Your child could be battling depression. Depression in teens is very similar to depression in adults. The difference is that teenagers often lack the necessary life experience to put things into context, so they can have a more difficult time managing their emotions on a day-to-day basis as a result. It can lead to long-term feelings of sadness or in more severe cases, teen suicide. Your teen may be experiencing depression for a number of reasons, including everything from poor grades, bullying, romantic rejection to confusion over sexual orientation. To make sure your child gets the help that he needs and deserves, it’s important to be able to identify the symptoms and understand what measures to take to resolve his issues, whether minor or life-threatening. The difficult part is determining the severity and frequency of your child’s symptoms because what teenager hasn’t displayed at least a few of these characteristics before? If your teenage son is engaged in any of the above behaviors consistently -- or any of the more severe behaviors like suicidal thoughts or substance abuse -- then you may want to explore treatment options or consult a professional. If your child is displaying a few of the minor behaviors occasionally, then he might be more in line with a normal spectrum of emotions. When dealing with your teenage son’s depression, it’s important to know that not all depression is the same. 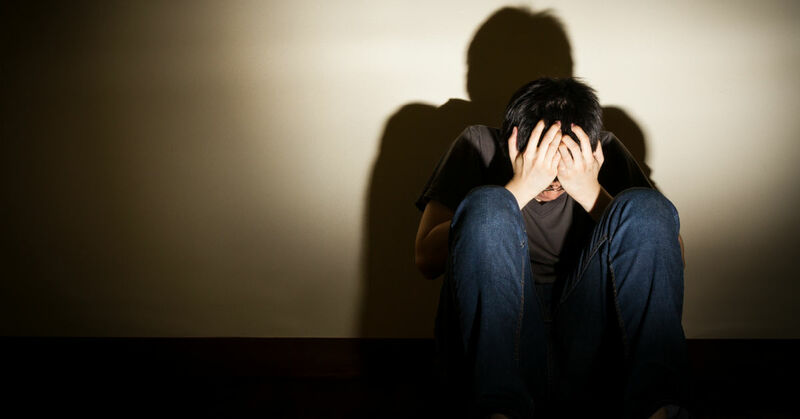 Your son’s disposition could improve with just a few small adjustments, or you may have to explore more substantial options like a residential treatment center if you notice more extreme warning signs like suicidal thoughts or violent outbursts. These behaviors are just a sampling of a what you could encourage your son to do to create a healthy lifestyle. They combat social isolation and encourage feelings of well-being, self-esteem, and independence. Try to discuss these activities with your child in a non-judgmental, open way. If you find that your son isn’t responding to your encouragement -- or he is but isn’t experiencing noticeable benefits -- you may want to consider seeking the services of a psychiatrist or psychologist who can conclusively diagnose your son. He could have depression, bipolar disorder, OCD, or any other number of psychological disorders that may require therapy and medication to treat effectively. There are many different types of therapy available and many different therapists to administer them. Try to get your child’s input as you make decisions. The more committed your child is to treatment, the more likely he is to experience relief. Including him in the decision-making process is a great way to encourage a higher level of commitment. If therapy and medication alone don’t seem to solve your child’s problems, you may want to consider a residential treatment center such as the Liahona Academy, where your child can receive comprehensive care and supervision in order to create the best possible long-term recovery plan for your child. Teen depression can be an incredibly overwhelming challenge for a family. It’s important to keep in mind that treating your child is a process. He may not get better overnight, and it’s important to stay positive, patient, and understanding. By identifying depression symptoms, developing a parenting style that supports depression recovery, and by seeking professional help when necessary, you can ensure your child gets the best-case outcome as he battles with depression.